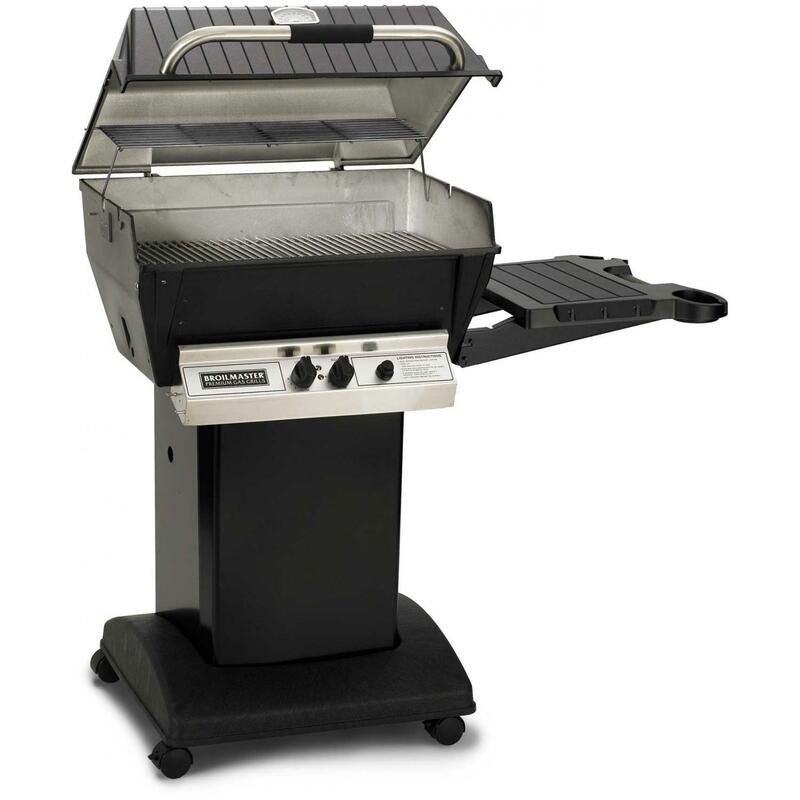 The Broilmaster Deluxe Series gas grills feature Broilmasters legendary solid cast aluminum grill head, along with a 40,000 BTU stainless steel H-style burner with independent controls, a sturdy single-level solid stainless steel cooking grid and chrome plated warming rack to keep foods nice and warm once they are cooked. Broilmasters H3X grills provide 653 square inches of total cooking area, as well as includes Charmaster Briquets to vaporize any drippings and add flavor to your food. This grill package includes black painted black painted steel in-ground post for permanent installation and black drop down side shelf. 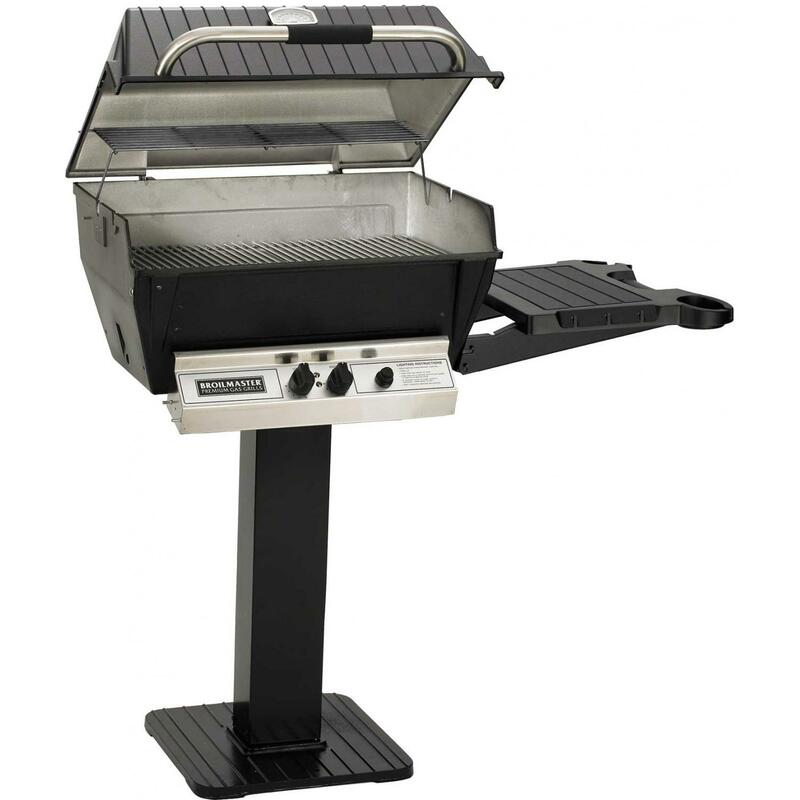 The Broilmaster Deluxe Series gas grills feature Broilmasters legendary solid cast aluminum grill head, along with a 40,000 BTU stainless steel H-style burner with independent controls, a sturdy single-level solid stainless steel cooking grid and chrome plated warming rack to keep foods nice and warm once they are cooked. Broilmasters H3X grills provide 653 square inches of total cooking area, as well as includes Charmaster Briquets to vaporize any drippings and add flavor to your food. This grill package includes black painted black painted steel patio post for bolt-down installation and black drop down side shelf. 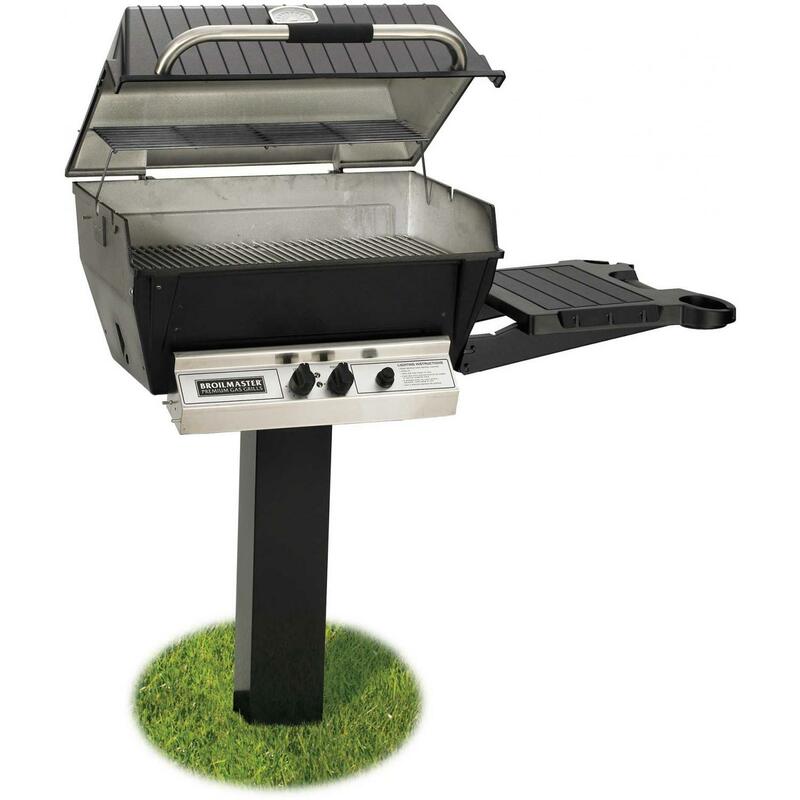 The Broilmaster Deluxe Series gas grills feature Broilmasters legendary solid cast aluminum grill head, along with a 40,000 BTU stainless steel H-style burner with independent controls, a sturdy single-level solid stainless steel cooking grid and chrome plated warming rack to keep foods nice and warm once they are cooked. Broilmasters H3X grills provide 653 square inches of total cooking area, as well as includes Charmaster Briquets to vaporize any drippings and add flavor to your food. This grill package includes black painted steel cart with locking casters and black drop down side shelf.